This post was originally written in 2011 so it may be a bit outdated. Please feel free to contact me if you know of a store that has closed or you would like me to add your favorite local, independently owned business. Thanks! It is my belief that the best way to bring balance back in to the world is to support local, independently owned businesses. What better time to do it than Black Friday?! 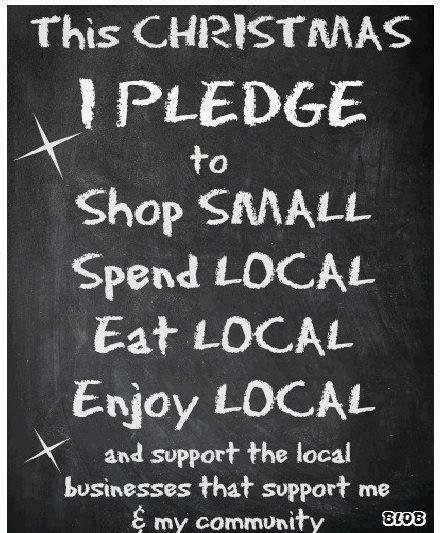 There are SO many reasons as to why it is better to shop local than big box / chain stores but I will spare you my ramble. Below is a list of local, independently owned Bay Area businesses, organized by area. I asked my Twitter, Facebook and Google+ friends to tell me their favorite places to shop in the Bay Area. The response from Twitter was overwhelming! If your favorite independent locally owned shop is not on the list please leave a comment below and I will do my best to add it to the list. Another suggestion I got was to shop at your local Farmer’s Market – great crafts and food gifts often available. For that special holiday outfit you might only wear once try local consignment and thrift shops. You just might find the perfect outfit! I’ve also included a few coffee shops and restaurants on this list because we need to eat, right?! Rancho Gordo (heirloom beans) <– now that is original! Downtown Sausalito is full of lots of wonderful little shops. Green Apple Books – Inner Richmond. Clement at 6th. Thank you to everyone who sent suggestions! 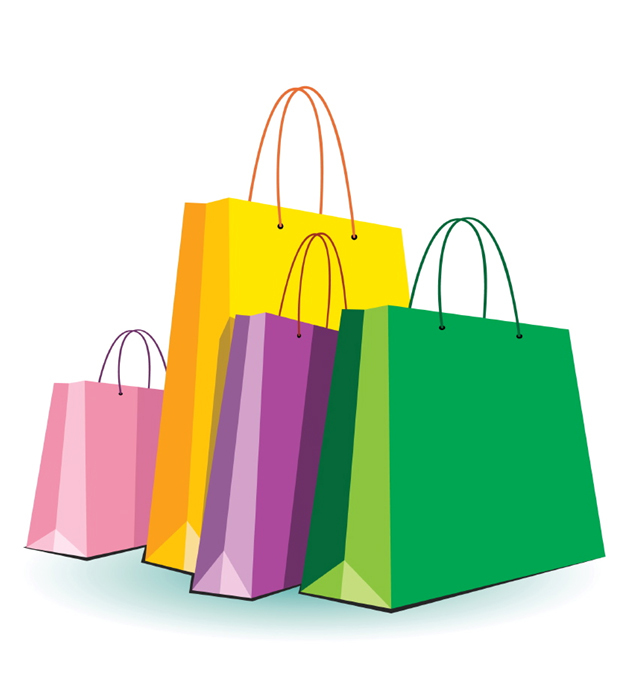 Please leave a comment and let us know what you got at your local independently owned store! If you live in another area please make your own list and share it with your readers! If your appliances break during the holiday season… don’t fret! Call Appliance Techs of Marin! *disclaimer I have not been to many of these businesses they are suggestion I crowd-sourced from my social networks. If there are any corrections that need to be made please leave a comment below. **This is an evolving/growing list. I plan to add links to all the businesses and to keep adding more local, independently owned businesses. However, if I continue working on this tonight I may find myself disowned by my family. Thanks for shopping local. PS. Please feel free to copy/use this list and pass it on to others. I’d appreciate a link back to the original list. 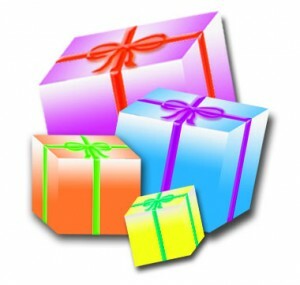 Here is the link: http://sallyaroundthebay.com/2011/11/shop-local-bay-area/ Thank you! If shopping is not your thing please consider donating on #GivingTuesday or any other time during this holiday season. Thanks, Sally! This is a great list. I plan to shop at many of these stores and will definitely steer clear of the big box places. You’re providing a great resource for us locals and appreciate all your efforts! See you in the hood! Great list Sally – thx to you (and your twitter “elves”) for compiling it! 🙂 Cheers, everyone! Great job. I know how much work it is to make lists like this and find the links. Thanks for taking the time to do it. 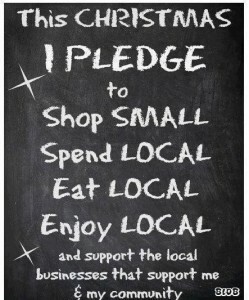 I plan to take the buylocal pledge this season. Ee’d love to be on you list. We’ll also make sure to make good use of the list! Alberto – Create More has been added to the list! Thanks for the reminder. Thanks so much Sally! This list is wonderful! Thank you so much for taking all the time to do this! Shopping local and buying from small and family owned businesses is always important, but focussing on it at this time is brilliant! This is a wonderful list, Sally – and what a great service to gather this info for us all! i have a few suggestions, here goes …. jewerly well priced. she’s a doll. in San Anselmo another great clothing store. best fitting jeans i’ve ever found. Thanks Nancie! I’ve updated the list with your suggestions! Hi Sally, I saw on our Facebook page (via Enjoy Mill Valley) that you are looking for independent San Francisco businesses to list. If I may say so, here’s a great one to list – Flax art & design (www.flaxart.com). We sell our own local designs , locally hand printed tshirts and we feature local designers and also host first Friday events that support local vendors and artist. Thanks Howard and Rachel. I’ve added the stores! Don’t forget http://www.twoneat.com in Mill Valley. A great store for quirky stuff. Thanks Tim, I added Two Neat. Love that store! Useful info. Lucky me I discovered your web site by accident, and I’m shocked why this twist of fate did not took place earlier! I bookmarked it. Hi Sally! Modern Cookie Co no longer open as a custom cookie concept. Re-opening late Oct, with more retail, incl foods & catering & wholesale – but will expanded, and no longer made-to-order individual cookies. Nina – I took it down. Let me know if you want me to put something back up when you re-open. Just wanted to give a shout-out to a wonderful store for gifts in North Beach. Abitare on 522 Columbus Avenue (between Stockton St & Green St) is chock-full of one-of-a-kind gifts at great prices! It’s a treasure.